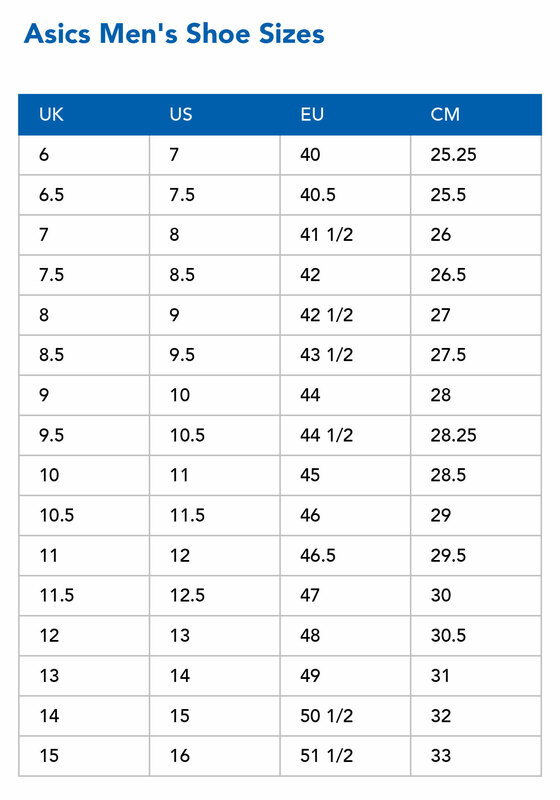 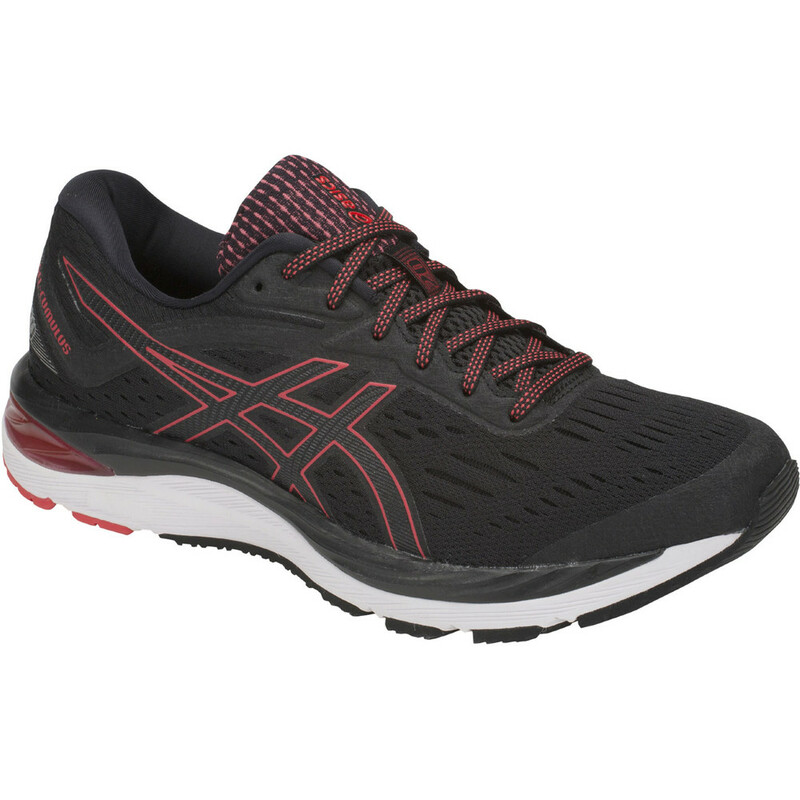 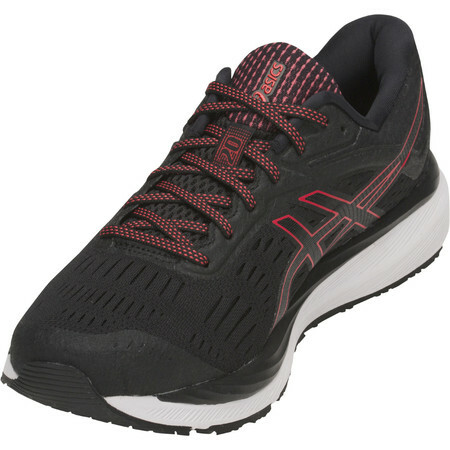 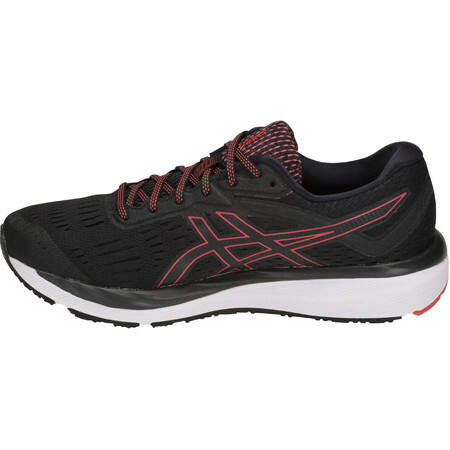 Asics Cumulus 20 is their go-to neutral road running shoe for medium to high mileage. 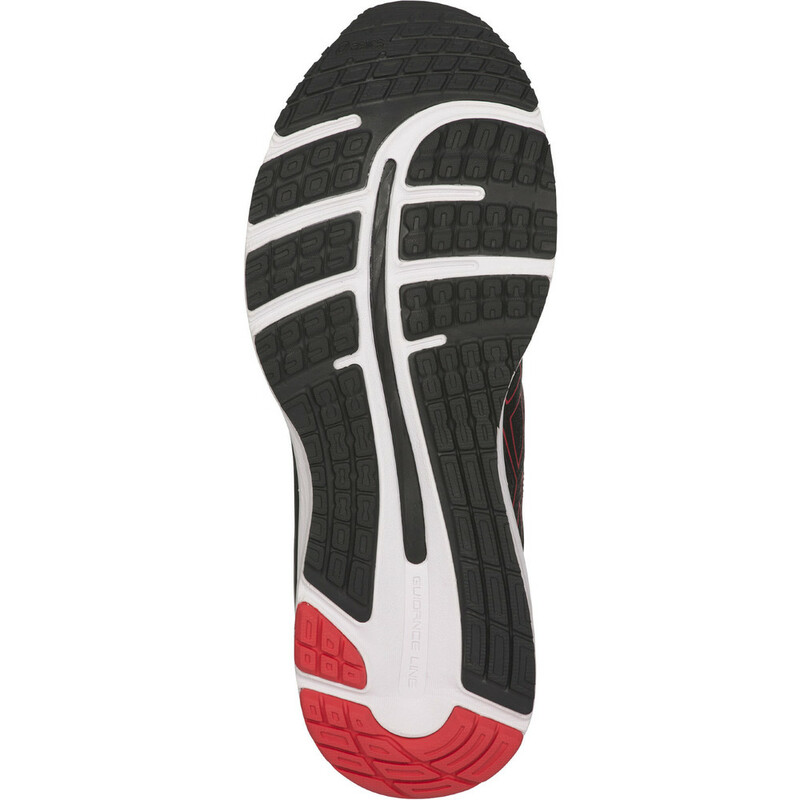 This twentieth edition benefits from a new roomier last which gives ample room in the forefoot for the toes and the ball of the foot. 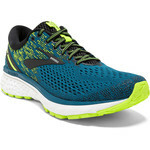 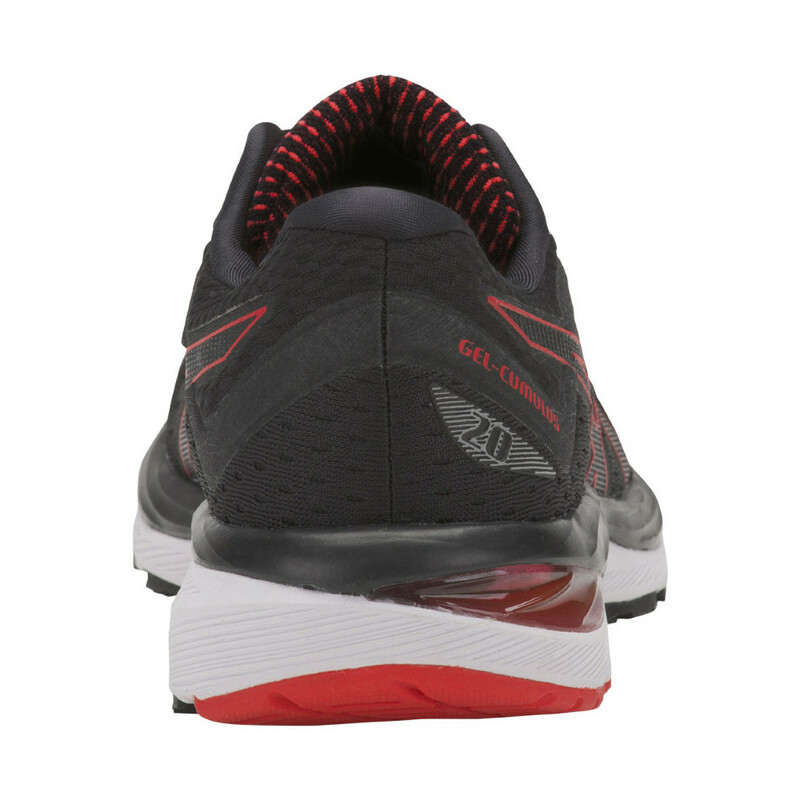 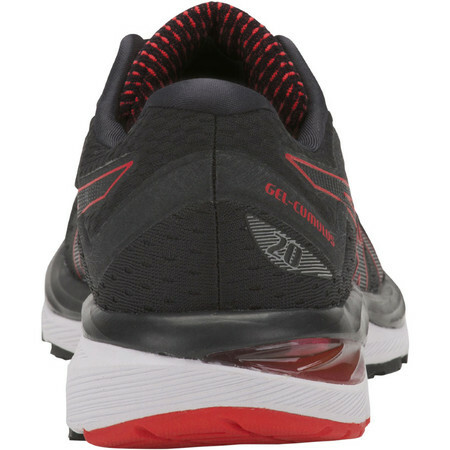 The midsole is made up of a top layer of Flytefoam Propel – Asics’ springiest midsole material offering bouncy forward propulsion – and a bottom layer of Flytefoam for resilence and durability without added weight. 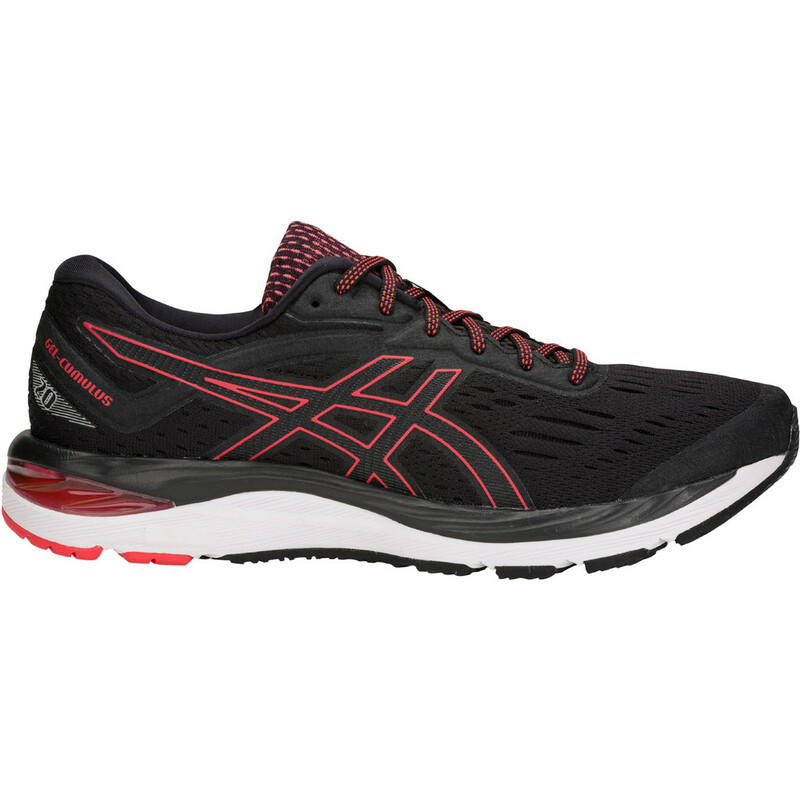 Asics’ trademark Gel absorbs shock in the heel and forefoot. 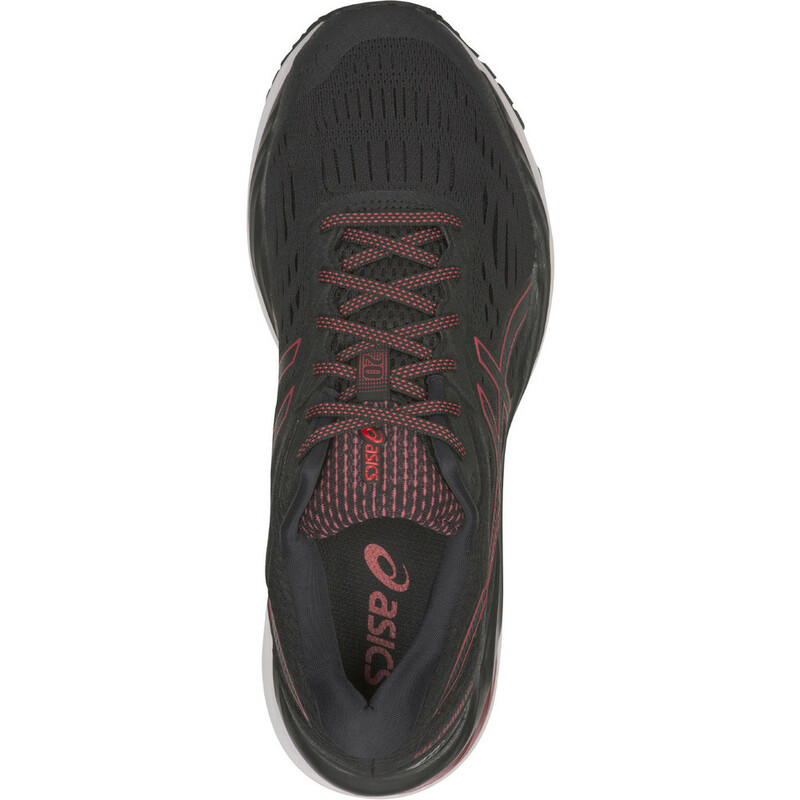 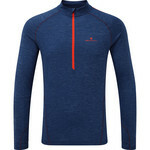 A seamless engineered mesh upper offers breathability and support and a new soft collar foam at the heel adds comfort.